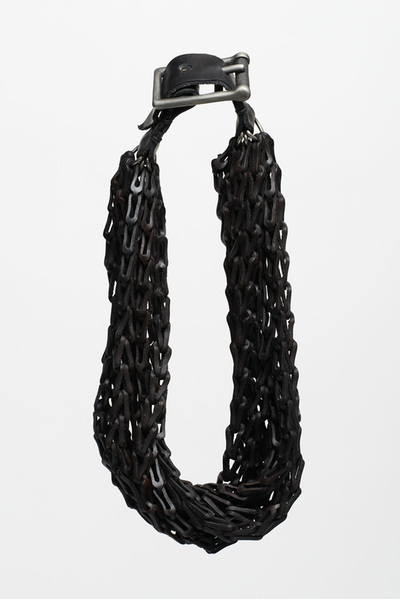 "Matt Lambert’s art jewelry series, “RAW,” imagines a material shift in the relationship between expectation and observation, and thereby challenges social norms of gender, sexuality, and labor as they are produced in relation to the body. 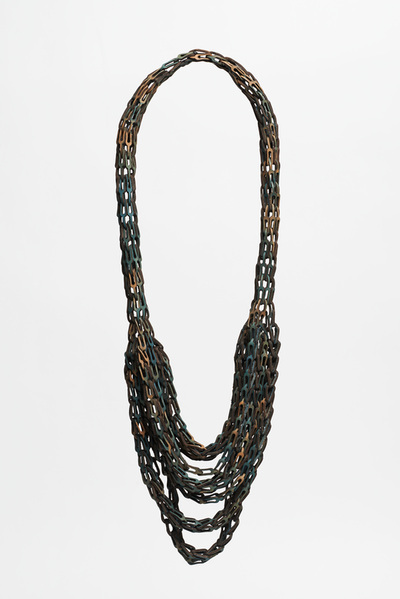 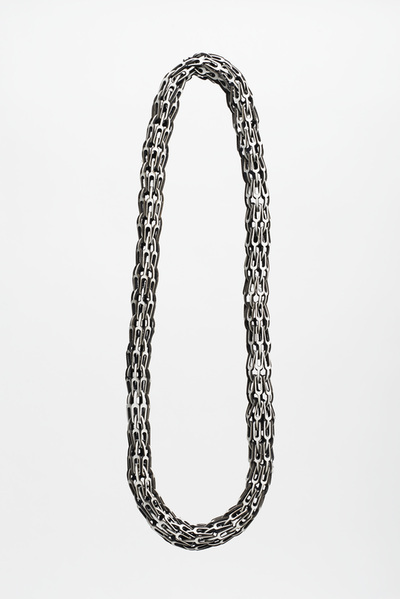 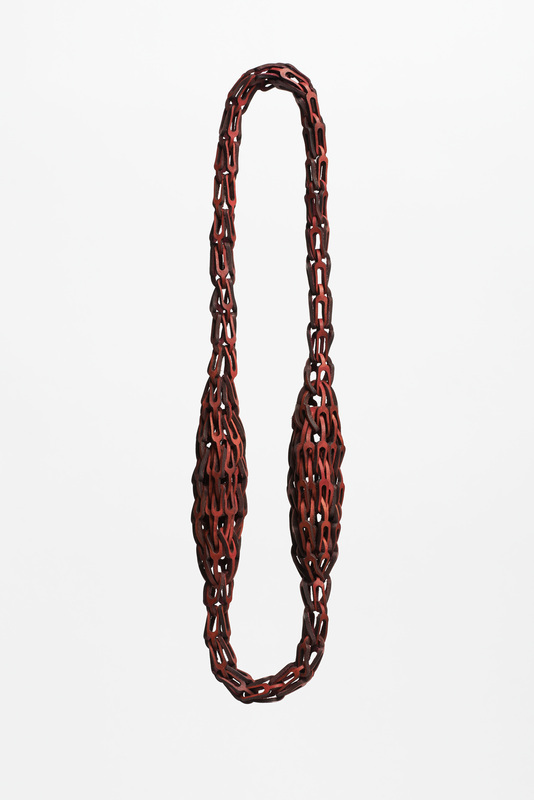 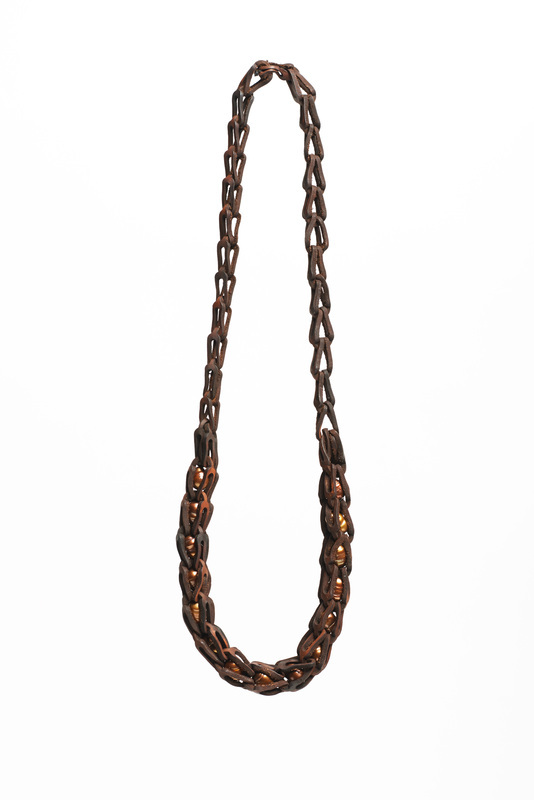 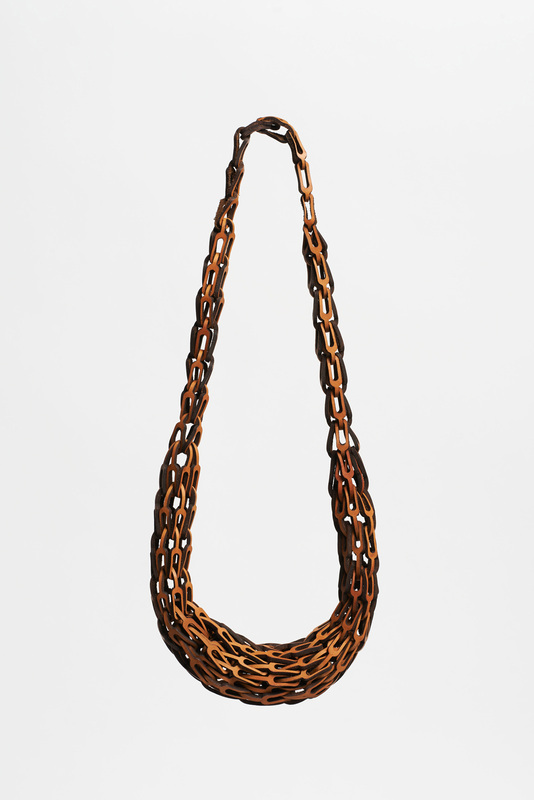 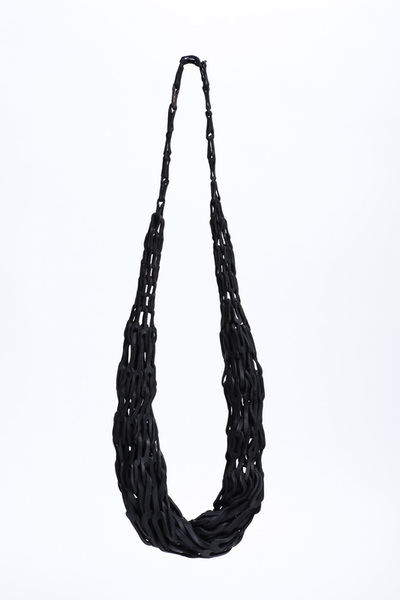 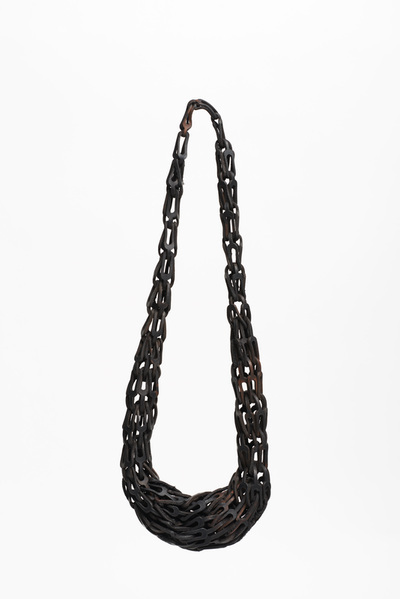 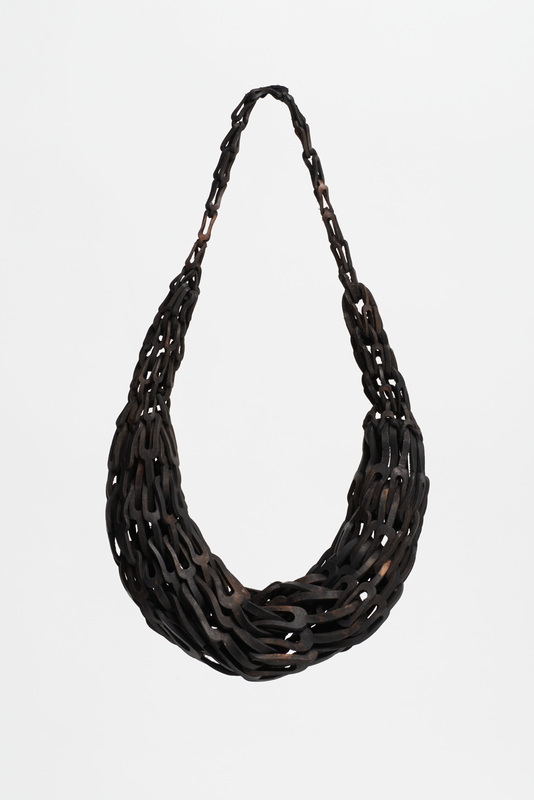 Lambert’s circular woven necklaces appear to be made of a chain-linked metal material, but are actually composed of light-weight laser-cut, hand-dyed leather. 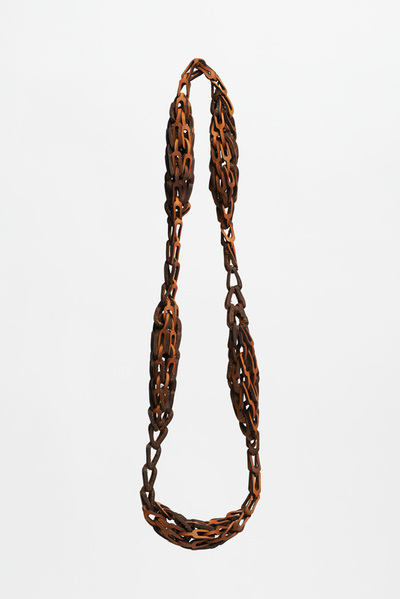 They appear heavy, but are deceptively feather-light." - Excerpt from "RAW: Imagining the Liminal Spaces of Queer Embodiment"